Home Students Corner Jonathan's Observations Are there really too many immigrants? exploitation of benefits and the National Health Service. This ongoing stance of anti-immigration, and the belief that immigration is more negative than it is positive, is largely due to the media’s portrayal and negative focus on immigration. For years the media has created an impression that when things appear to be wrong in society (high unemployment, declining British values etc. ), it is usually immigration that is at the root of the problem. Initially, it was quite clear that the British people who had feelings that were against immigration were likely to have been influenced and inspired by the media. Consequently, they had very little personal knowledge of immigration themselves, shown by their lack of interaction with immigrants. 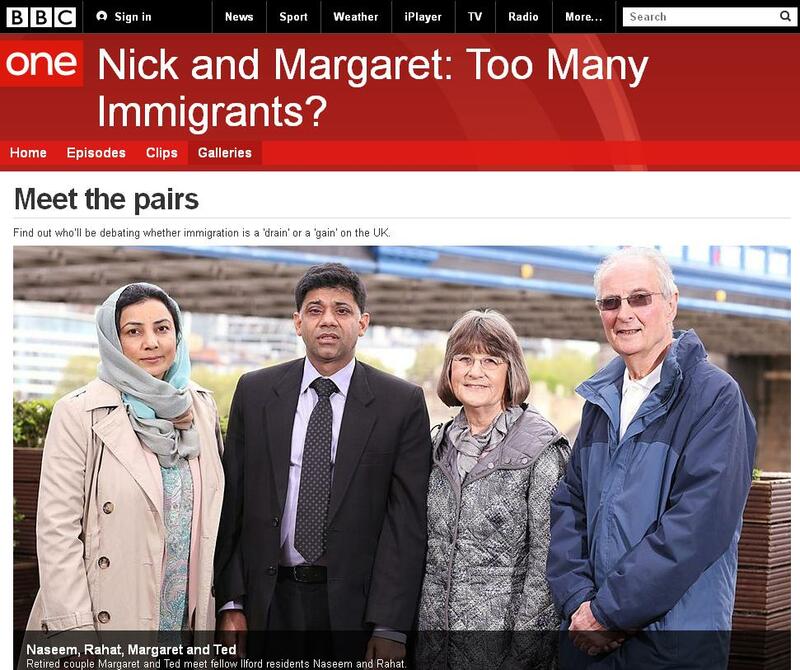 The programme actually showed that after spending time with their partnered immigrants and observing them in their homes, communities and workplaces that their perceptions and viewpoints on immigration had actually changed from how they felt before meeting them. 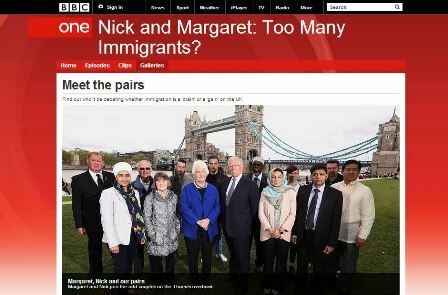 This was shown by all of them deciding that the immigrants that they were partnered up with were more of a “gain” to British society and the economy than a “drain”. When it comes to immigration in Britain it is always important to remember the impacts that the British Empire once had on the rest of the world. Moreover, current immigration is actually an indirect impact of the influence of the British Empire. At the peak of Empire, the British went around the world and planted many influences which impacted language, religion, culture, ideology, values and education in addition to a giant list of many other factors that still shape how the world is today. Furthermore, this was also done whilst the British exploited resources and changed the nature of hundreds of people, communities and civilisations around the world. This isn’t a history lesson, but it is always important to remember these issues when bringing up immigration within Britain. From a more personal experience, my grandparents arrived in Britain from Jamaica in the mid-1950s whilst Jamaica was still part of the British Empire. My grandparents saw Britain as the mother country as well as a land of hope and opportunity. I believe that even then – and since – they have been a significant “gain” to British society: They settled in and integrated with their local community well, and worked for the entirety of their working lives in the country. Furthermore, by starting a family and having children and grandchildren, they have continued their legacy and continued to indirectly contribute towards Britain. There are many perspectives around immigration and many viewpoints on either side of the fence that are for and against it. Although, it may partially be related to the cause of some problems in the country, I believe it is wrong to put blame on immigrants as a major cause of ongoing issues that the country faces. Moreover, the positives can be seen to outweigh many of the negatives associated with it. Since, and even before, my grandparents both arrived to the country; immigration has brought so many great things ranging from a wide variety of cultures, economic advancement, the rebuilding of Britain and simply a wider understanding and tolerance of different people. Also, how could we ignore all the great food! If immigration had not taken place in Britain the way that it has it would be difficult to really imagine what the country would be like today. As a result, I am a strong believer in the idea that immigration is generally something that leads to greater “gain”.